Marden Henge is the third ‘super-henge’ in Wiltshire, alongside Stonehenge and Avebury. In July 2017 there is a fantastic opportunity to find out more about prehistory and these enigmatic henges before a visit to see the site being excavated by archaeologists from the University of Reading. After lunch there will be a guided tour of the excavations (student guides) – with a chance to see archaeologists in action and to find out about the latest discoveries. 10.30 – Visit Wiltshire Museum, tea/coffee served on arrival. Museum specialist tour. Well, the bad news is you put Sarsen A where Lintel B should go. The good news is that it should only take about 200 man-hours to fix it! Stonehenge is one of prehistory’s engineering marvels. 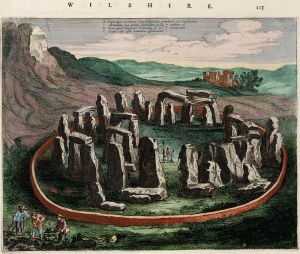 Many of us picture it as a ruined circle of stone, associated with druids, all kinds of astronomical observations, and maybe even magic. Unfortunately, most of that image is probably inaccurate. Fortunately, though, there is plenty of evidence that Stonehenge was both important and impressive.